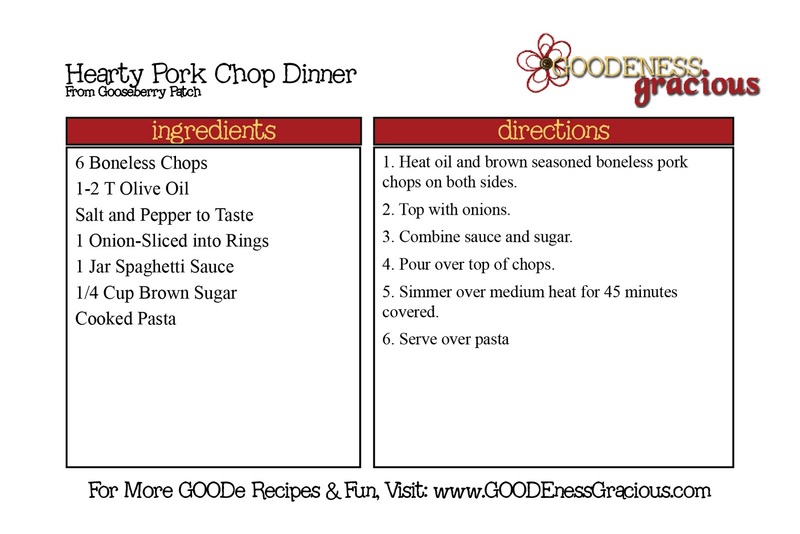 Today’s Goode & Gooseberry Patch Project recipe is Hearty Pork Chop Dinner. This is a yummy new way to have pork chops in the Goode house. Two thumbs way up! Cover and cook up for 45 minutes… and it will be sooo worth it. Those chops will be oh so tender! Meanwhile grab that glorious micro-cooker and cook ya up some pasta.